Your Experience in the College will be more efficient and enjoyable with DASH. The specialized mobile platform for you and your school will enhance every interaction and experience that you will encounter. 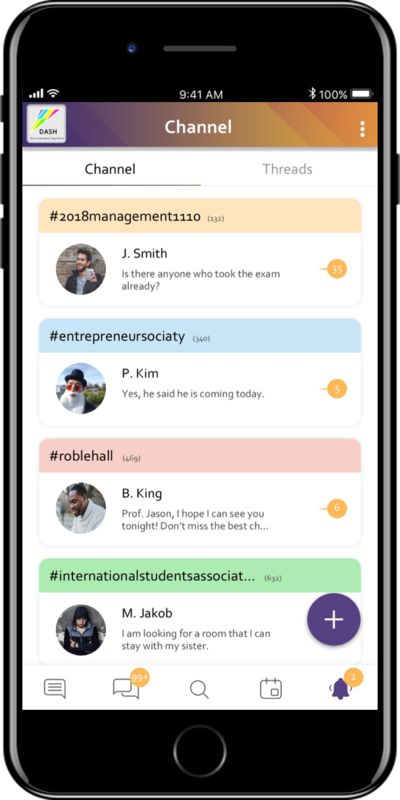 DASH is specialized for the communication between students in a same campus. Throughout the Public Channel and Board, you can interact with your friends effectively. If you need someone to run Project together, DASH is the Solution. The Private Channel and Thread allows you and your group to effectively work together. You can find a group of people That shares the same Interest in The Channel. Create/Join the Channel to share your story and Hangout together. Each user may hold an event for any purpose. 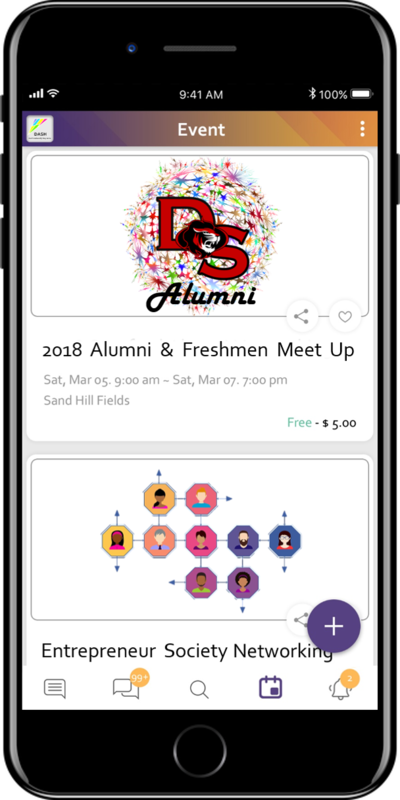 Dash's Location Driven Event help students to advertise the event to the relevant channels. Also, the participants can rate the Event with comments. Share your story to make your campus life connected. Board is the common area specially designed for the communication between every student of your school. Only students through our campus verification system are allowed to join the community. You are not only able to give opinions related to any issues in your school but also see what is going on in your campus. Your opinion is going to change your campus. Bring people together with a specific topic. 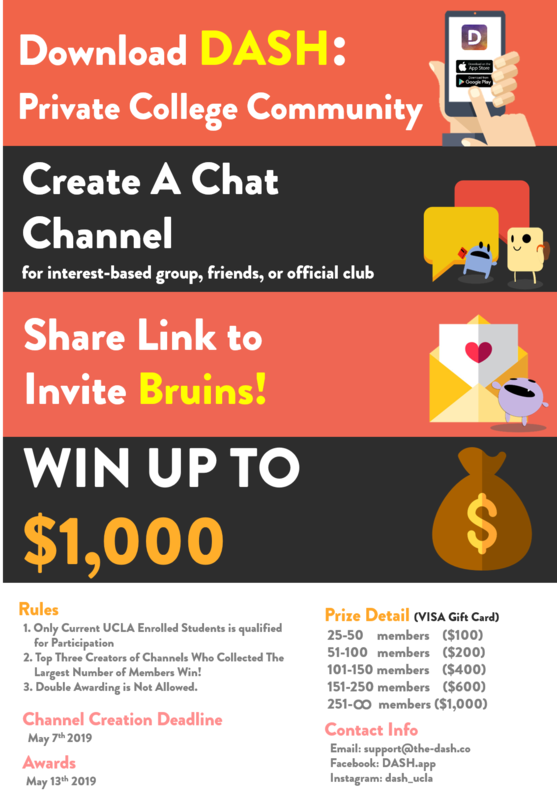 You can create or participate in channels for any purpose to make positive interaction with the people in your school. It is not only designed to encourage entertaining but also helps you to collaborate with your team efficiently. Channel enhances both the communication and interaction. Mingle and get rid of stress. Door's open. Advertise your next event with us! You can announce the event to choose channels. Each title of the channels helps you to figure out where you can promote it effectively. 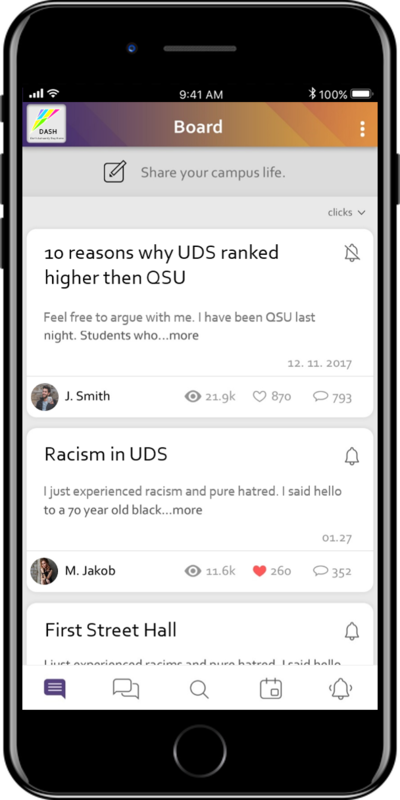 Mingle with the people on your campus and make more solid friends too. I don't want to see this today.